Sadly, one of the first lessons in consumerism to teach kids has to be, “ buyer beware ” That adage is certainly something teenagers and their parents need to keep in mind as prom season rolls around. Not all limousine and party vehicle companies are created equally. Besides the differences in vehicles, upkeep and safety, levels of performance and service vary widely in the industry as well. That, unfortunately, can’t be said for all transportation providers in the Vancouver and Portland area. There are a number of “rouge” companies that will pop up on Google searches or Craigslist that don’t meet the strict guidelines established by the Washington or Oregon Department of Licensing. Both states require regular testing of vehicles as well as medical and drug tests for drivers. With transportation providers that don’t adhere to these regulations, the passengers have no way of being sure the driver or vehicle is safe. Also, it’s not uncommon for the ad or website to feature vehicles that are not what shows up on Prom night. Another common practice with the less than reputable companies is to offer low cost runs early in the process and book the run. When it gets closer to prom time and people who have waited to get a ride will offer more money. At that time, the people who secured the vehicle for the lower cost will get a last minute call that a mystery problem has occurred with the car and isn’t available anymore. The prom goers will be without and have to drive themselves or, worse yet, get a ride with Mom or Dad. 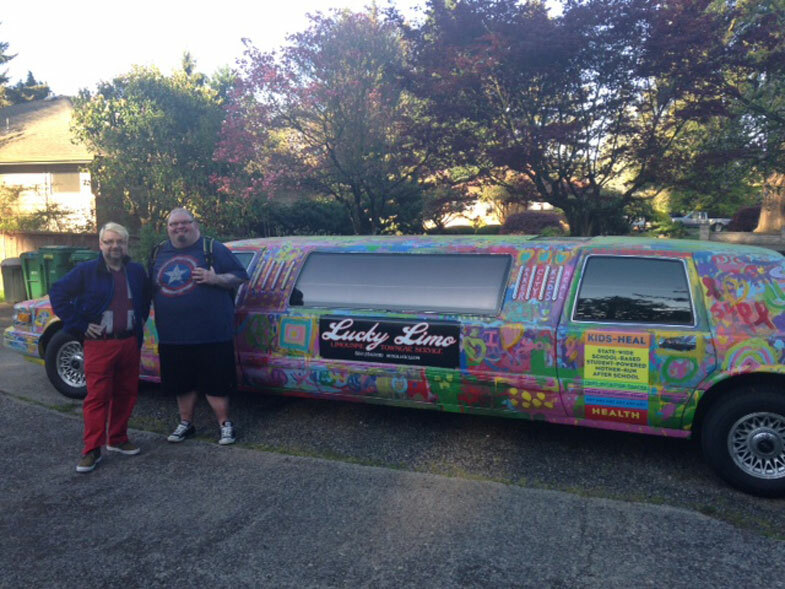 Like Miller from Silver Limousine, Portland’s Lucky Limousine and Towncar General Manager, Al Jochim said It’s important to raise the awareness of the public on just how dangerous it can be to rent vehicles from providers not regulated. The best advice to be sure the vehicle company is reputable is to do the research. Past reviews on websites, social media and word of mouth is a great start. According to Miller, the absolute best way to vet out a company requires a little time and effort but is worth it. He said to go visit the company to personally meet the drivers or owners and actual vehicle that will be rented. At that time, a pretty quick visual will give the renter a good idea of how the owner treats his or her business and subsequently, guests. Another great resource is the Department of Licensing website: www.dol.wa.gov A search for limousines will provide links and guidelines for transportation providers. There are also links to see what companies are properly licensed in the state. Parents will, of course, always worry when their children are out at an event like a prom but in hiring a reputable company keeps kids off the road on their own with the added benefit of a driver chaperone.